The “Tokyo Snow Trip” rapper stopped by ET’s studios on Tuesday, where she dished on her new EP, Survive the Summer, and addressed her tumultuous relationship with the outspoken and often divisive Banks. 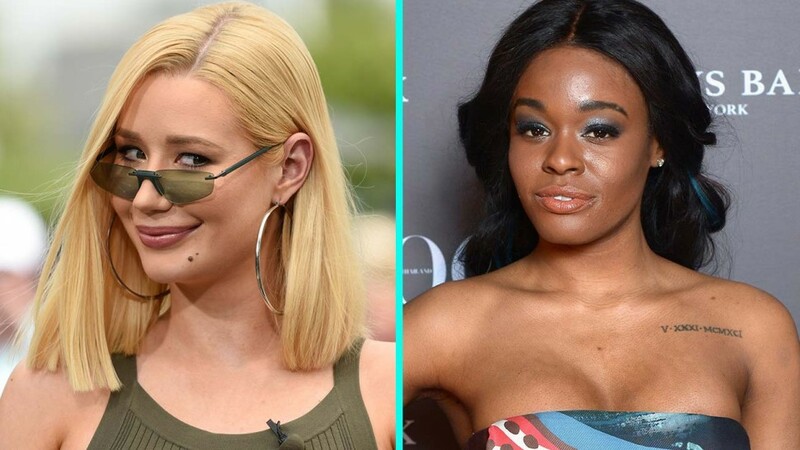 During her candid, in-depth interview with ET’s Sophie Schillaci, Azalea was asked if she’d seen that Banks had shared a complimentary tweet about the Australian rapper following the release of the music video for “Kream,” her recent single. Which is a bit of an understatement, to say the least. Banks is not known for holding anything back on her twitter account, and has frequently feuded with fellow artists, celebrities and even the cast of RuPaul’s Drag Race last month, and her verified account was deleted and banned from the social media platform just days ago. As for her relationship with Azalea — with whom she had a very public feud in 2014, before seemingly reconciling late last year — even Azalea doesn’t seem sure of where they stand. “I don’t know if it will still stand next week, but I’ll take it for today,” she added. While Azalea has been hard at work on her latest music, Banks just released a new track herself. The 27-year-old artist dropped her new single, “Treasure Island,” off her upcoming album, Fantasea II: The Second Wave. However, Azalea says she simply hasn’t had the time to check out Banks’ new music. While Azalea puts the final touches on finalizing a planned tour, she’s also getting ready for the release of her upcoming six-song EP, which features the two songs fans have already heard — “Kream” and “Tokyo Snow Trip” — and the Aussie artist says the two singles are a mix of her old and recent work.